זה אינו הדבר היחידי שיש לעשות בצפון מונגוליה, ולכן אפרט כאן עוד אתרים באזור זה שניתן ורצוי לטייל בהם, למרות שאני לא עשיתי זאת. צפון מונגוליה משתרעת למעשה מהעיר מורון וצפונה, כך שלמעשה היות ומסלול הטיול של הסוסים מחסה כמעט את כל הצג מהערבי של אגם חופסגול, אזי מה שנותר הוא החלק המזרחי של האגם ואזור מורון עצמו. את החלק המזרחי של האגם ניתן לבצע גם ע"ג סוסים וגם ברכב 4X4, כל אחד יבחר את מה שמתאים לו. 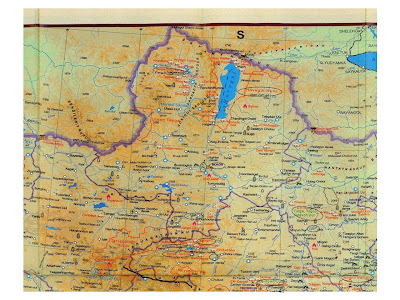 The Tsaatan is around 200km north of Murun, province capital and 880km northwest from Ulaanbaatar. TCVC is accessible by vehicle (Approx. 10 hours from province capital). The Murun is accessible by public transit or commercial airline. • Mongolia’s only reindeer herding community. Southernmost indigenous home range of reindeer in the world. • Exclusive mechanism for coordinating a trip to the Tsaatan that includes Tsaatan people meaningfully and sustainably. • 6 comfortable cabins and authentic teepees. TCVC can accommodate 10-15 people. Full meal service onsite at TCVC and for taiga trips. Khuvsgul National park covers 8.381 square kilometers including the Khuvsgul Lake and its watershed, the Lake Basin, and parts of Zunii Saran Mountain. It has been protected since 1992. The Taiga forest has Euro Asian otter, beaver, moose, reindeer, argali, Siberian ibex, snow leopard, red deer, Siberian roe deer and many other wild animals. The Lake of Khuvsgul Nuur covers an area 2.612 square kilometers. It’s a large lake, extending 134 kilometers north south and 39 kilometers east west. Dominating the western shore of the lake is the Khoridol Saridag Mountain, which attains an attitude of 1.624 meters above sea level, just west of the National park boundary. 96 rivers and streams feed into the lake and the Egiin River exists from it, draining into the Orkhon River and so to the Lake Baikal in the Russian Federation. Khuvsgul Nuur is the deepest lake in central Asia, with maximum depth of 262 meters. Its water is crystal clear and fresh. The reflections of larch forests and majestic mountains in the lake water are amazing. Plenty of fish found in the lake such as Baikal omul, lenok, umber, Siberian grayling and river perch. A few years ago all that remained of the Dayan Derkh were a few charred poles wound with blue ribbons. It had once been a large, important monastery standing on the banks of the Uur River built to honor a very powerful shaman. The Uur River winds through a golden larch forest, spilling into the interior of an ancient empire of Mongolia that once stretched from Beijing to the Caspian Sea. One of the most isolated and pristine river valleys in Eurasia, the Uur Valley, attracted the shaman Dayan Derkh to its banks eight hundred years ago. As legend has it, the shaman stole the young wife of Genghis Khan and ran away with her. After an epic chase throughout all of Mongolia, Genghis Khan finally caught up with Dayan Derkh on the Uur River. To escape the great Khan&apos;s wrath and his own demise, Dayan Derkh turned himself to stone. Genghis Khan called upon the Dalai Lama in Tibet to help deal with the ossified shaman. Dalai Lama sent over seven monks to pray under the cave where Dayan Derkh took refuge. While listening to the monk&apos;s prayers, Dayan Derkh converted to Buddhism and the monastery was named in his honor. Before The Tributary Fund embarked on the monastery reconstruction, locals continued to celebrate Dayan Derkh by making pilgrimages to the cave where Dayan Derkh once hid. Although the human-like stone thought to be Dayan Derkh was destroyed by the Russians, his influence and power live on in the stories of valley elders. The new Dayan Derkh Monastery was rebuilt based on historical photos and architectural renderings from the architectural committee of Gandan Monastery in Ulaan Baatar. Construction began in the spring of 2004 with the stupa (a Buddhist shrine), and the Monastery was completed in 2006.